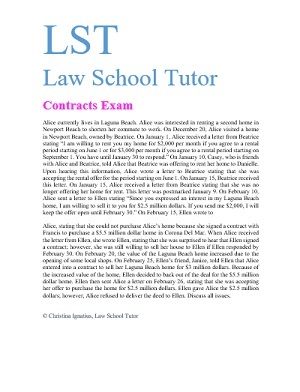 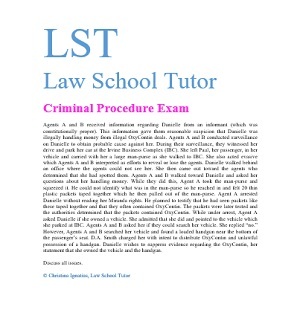 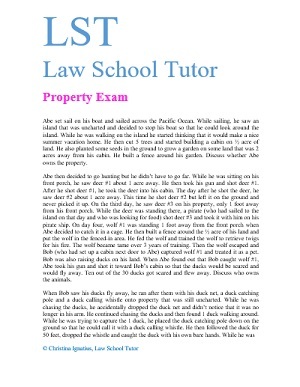 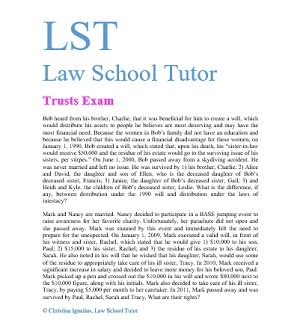 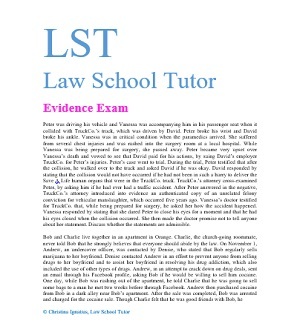 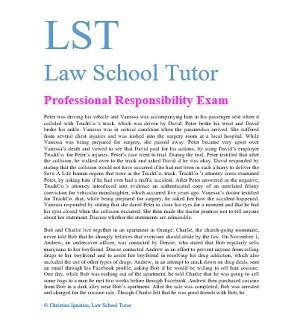 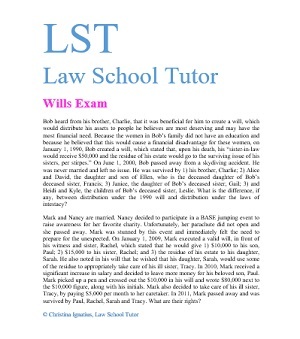 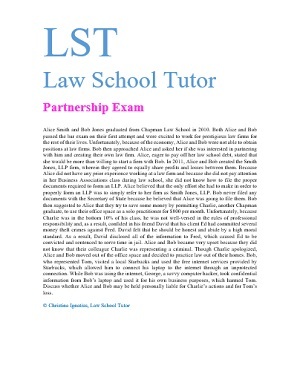 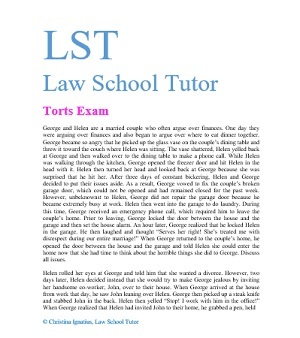 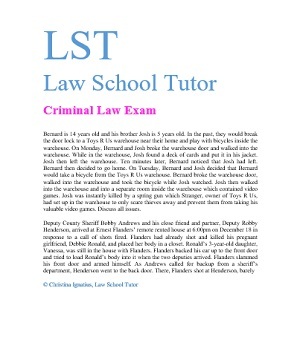 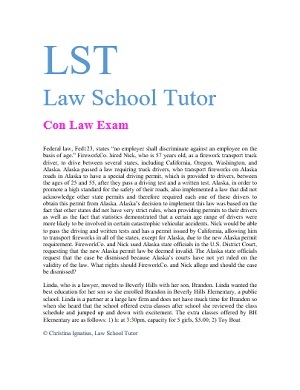 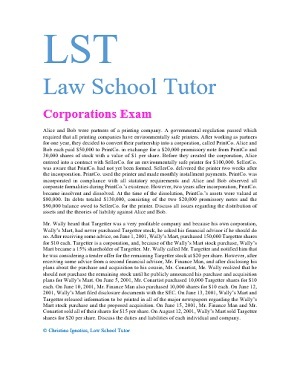 View LST – Law School Tutor’s practice exams for law school. 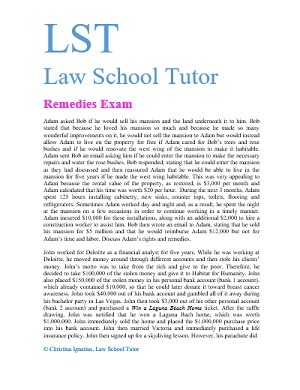 Each exam is typically 4 pages long and is written for each individual student and according to their class syllabus. 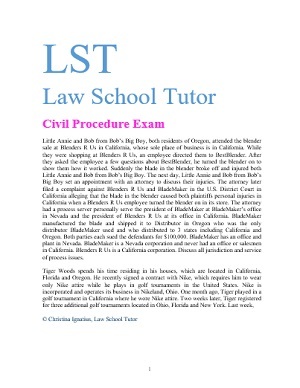 Do you need a law school tutor? 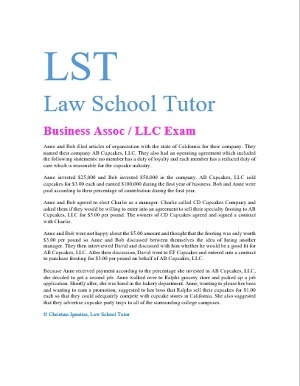 We are happy to provide academic support. 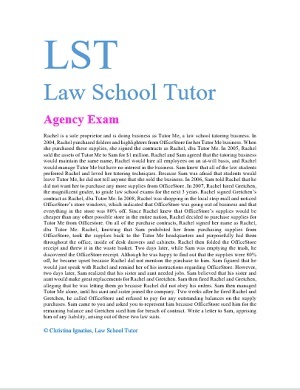 If you are wondering if there are tutors near me or you are looking for a tutor finder for tutoring services, please contact LST – Law School Tutor. 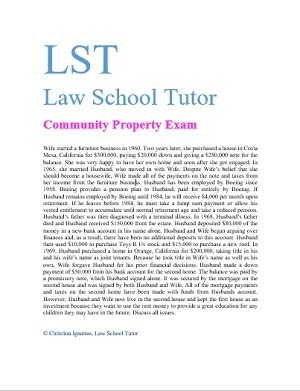 LST can direct you in regards to private tutoring, online tutoring, tutoring in your home, and academic success seminars. 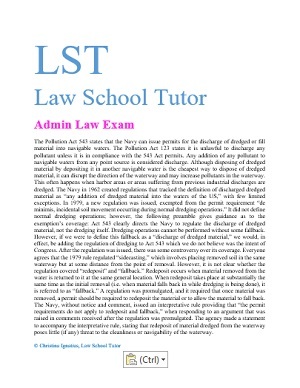 LST – Law School Tutor’s tutoring centers around the law student and doing what is best for the law student’s success, so please reach out to LST if you are in need of academic advising or test prep.